When I first started my blog at TheCraftyNinja.com I was just another Pinterest inspired DIY crafter. I started my blog to create some crafts and share it with the world hence the name crafty ninja. But two years ago while I was exploring Instagram I found nail art and that was my new calling. But now two years later nail art has given me so much opportunity to grow and create fun designs on my ten little canvases, okay its really mostly only on my five fingers. 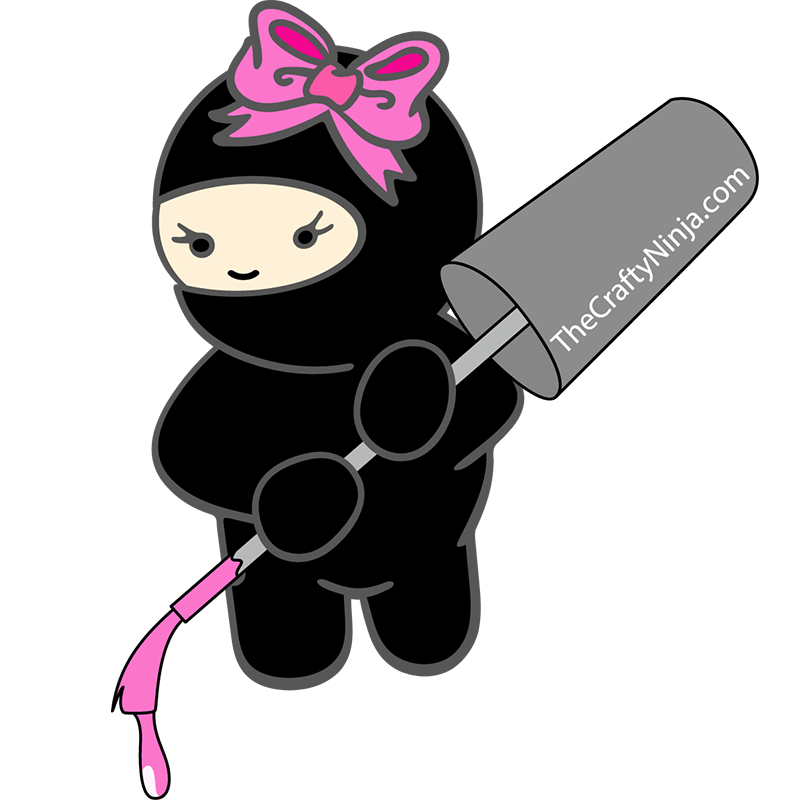 So now with changes happening and new opportunities I decided to change my logo from a ninja holding scissors to a nail polish brush. I will miss my little gal but to bigger and better things. The new logo suits my direction in nail art and to the future of Crafty Ninja.